Keep up-to-date with changes to benefits with our Benefit Changes Timetable. We’ve outlined some of the main changes below. When you claim ESA, and once you have been assessed, you are put in the work-related activity group or the support group. If you make a new claim for ESA on or after 3 April 2017, and you are put in the work-related activity group, the work-related activity component will not be added to your entitlement. If you are already receiving the work-related activity component, which is an extra £29.05 per week in your ESA, you will still get it after April 2017. If you are put in the support group, you can still get the support component. When you claim Tax Credits, your entitlement usually goes up when you have more children (depending on you and your partner’s work hours and income). From April 2017, you will not get any extra for a third (or more) child unless they were born before 6 April 2017, or they are disabled or an exception applies. Also, if you make a new claim for CTC on or after 6 April 2017, you will not have the family element included unless you (and your partner) are responsible for a child or qualifying young person born before 6 April 2017. Read more about these changes in our February 2017 Benefits Update. When you claim UC, your entitlement usually goes up when you have more children. From April 2017, you will not get any extra for a third (or more) child unless they were on your claim before 6 April 2017 or they are disabled or an exception applies. Plus, if you make a new claim for UC on or after 6 April 2017, you will not get a higher amount for the first or eldest child. Read more about the changes to the child elements in our February 2017 Benefits Update. From April 2017, if you are claiming UC and you have children, you will have to start looking for work when your youngest child is three years old, instead of five years old. When you claim UC, your entitlement goes down when you earn more. At the moment, the taper rate is 65 per cent, which means that for every £1 you earn over your work allowance, you lose 65p of your UC so you are better off 35p. In April 2017, the government plan to change the taper rate to 63 per cent, so for every £1 you earn over the work allowance amount, you will be better off 37p. You can read about how your earnings affect your Universal Credit in our Universal Credit Income and Capital guide. The government plans to introduce tougher conditions for 18-21 year olds who claim UC. From April 2017, if you are 18-21 years old and you have been claiming UC for over 6 months, you will have to apply for training courses, apprenticeships and work placements to keep receiving your benefit. Plus, if you are 18-21 years old and you are claiming UC; you will not receive any help towards your rent unless you are working. The government is pressing ahead with changes which will reduce the support available for many families. Hundreds of thousands of families will be worse off as a result of the coming changes to Child Tax Credit, Housing Benefit and Universal Credit. Read our guide below to make sure you understand what is happening and what to do next. Current claims for Child Tax Credit include a Family Element which boosts entitlement by up to £21 every two weeks or £42 every four weeks. The equivalent in Universal Credit is the Eldest or First Child Element, which boosts entitlement by up to £45.41 per month. The Family Element and the Eldest Child Element are being removed for new claims. When will you be affected? People starting a family on or after 6 April 2017 won’t get the Family Element in their Tax Credits, or the Eldest Child Element in their Universal Credit. This affects people who are pregnant now and will have their first baby on or after 6 April 2017. Families who already receive the Family Element or the Eldest Child Element will continue to receive it. Child Tax Credit currently includes a Child Element for each child in the family. Having another child increases entitlement by up to £106.68 every two weeks or £216.36 every 4 weeks. The equivalent in Universal Credit (which is replacing Child Tax Credit) can increase entitlement by up to £231.67 per month for each child. The amount that you actually receive depends on how much income you have. The upcoming change will mean the Child Element will only be included for the first two children (unless an exception applies). Any other elements, for example the Disabled Child Element, will continue to be included even if it applies to the third or subsequent child. If you have a third or subsequent child added to your claim on or after 6 April 2017, you will not receive the Child Element for them unless an exception applies. An exception may apply if you adopted a child on or after 6 April 2017 or a child was placed in kinship care with you by Social Services on or after 6 April 2017. If you are receiving Child Tax Credit, you will continue to receive the Child Element for all children who were born before 6 April 2017. You will not receive a Child Element for a child born on or after 6 April 2017 unless they are the first or second child on your claim, or an exception applies. If you are on Universal Credit, you will continue to receive the Child Element for all children who were included in your claim before 6 April 2017. You will not receive a Child Element for a child added to your claim on or after 6 April 2017 unless they are the first or second child on your claim, or an exception applies. Families with more than two children cannot make a new claim for Universal Credit until November 2018, even if they are in a full digital service area. They will have to claim Child Tax Credit in the meantime. How will it affect your Housing Benefit? If you are claiming Housing Benefit, your entitlement is reduced by any income which exceeds the ‘applicable amount’. The applicable amount is increased by £66.90 per week or £267.60 every four weeks for every child you have. This means you can earn more before your Housing Benefit is affected. The applicable amount will not be increased for any third or subsequent child born on or after 6 April 2017 (unless an exception applies). This change will affect you if you are having a third or subsequent child on or after April 2017 and you are not claiming Income Support, income-based Jobseeker’s Allowance or income-related Employment and Support Allowance, for example, because you are working. The government is making these changes to encourage people to think more carefully about how they will support their children before they have them. Make sure you know when the changes will affect you and how much you will be entitled to when they do. The changes will not affect your Tax Credits straight away unless a child is joining your family on or after 6 April 2017. The changes will affect you when you make a new claim for Universal Credit from November 2018 onwards. 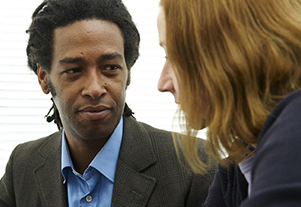 Or you can find a local benefits adviser using our Find an Adviser tool. Check our Your Situation pages to see what help may be available to you. Remember to look out for Energy Schemes to help with your energy bills. You may also be eligible for help from charitable grants which you can find using our Grants Search. If you are struggling to pay your rent, read our Discretionary Housing Payment guide to find out about a top-up you could receive from your local council and how to apply. If you’re really struggling, check out our Emergency Assistance guide for information on other help. Always seek advice straight away if you are at risk of losing your home. You can find a local housing advisor using our Find an Adviser tool. You can also ask your local council for help to keep your home from their Floating Housing Support Service. Find your local Council on the Find your local Council page of the Gov.uk website. If you’re not sure whether you can afford to make ends meet and you need advice about what to do next, you can use our Find an Adviser tool to find a benefits advisor near you.